Despite the rumor of his opposition to the legitimacy of homosexual relationships, and the article to confirm it, I like Wolfhart Pannenberg . I've been working through Jesus- God and Man, and it's been pretty fun! 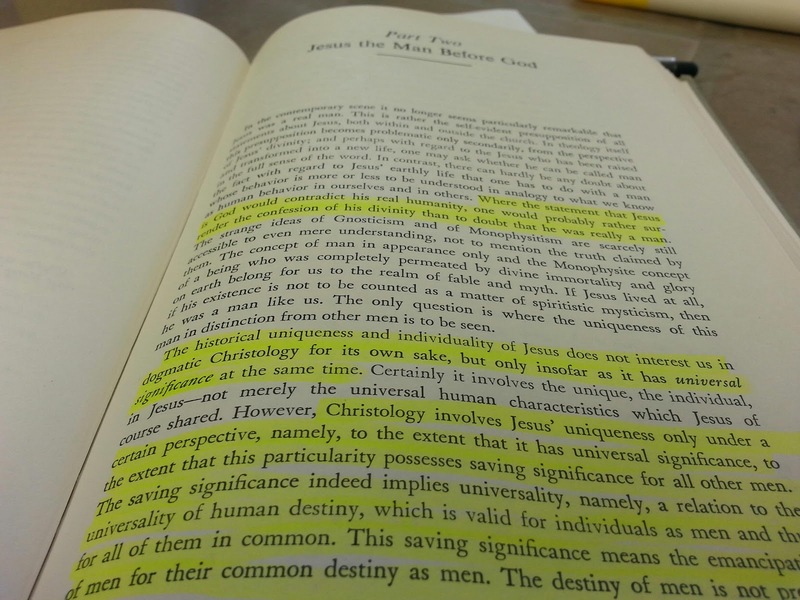 "Christology involves Jesus' uniqueness only under a certain perspective, namely, to the extent that it has universal significance, to the extent that this particularity possesses saving significance for all other men. 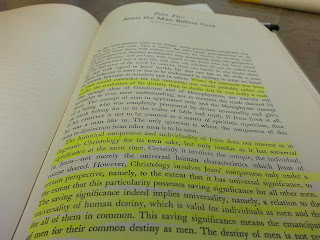 The saving significance indeed implies universality, namely, a relation to the universality of human destiny, which is valid for individuals as men and thus for all of them in common. This saving significance means the emancipation of men for their common destiny as men. The destiny of men is not present all along in the internal structure of individuals as what is common to them, but, so to speak, it comes upon them from outside as their future. Therefore, it can constitute Jesus' uniqueness that in him that which is man's destiny as man has appeared for the first time in an individual and thus has become accessible to all others only through this individual" (189-190). There have been a few underwhelming moments in this book, but this one did not disappoint. Here, Pannenberg gets at what some have called, "the scandal of particularity" (I don't know who coined that phrase, but I know it has been used by Gabriel Fackre). What makes the particularity of the man, Jesus of Nazareth, scandalous is that it claims to bear universal significance. We are directed, at every turn, to identify this man from Nazareth (who is indeed human and authentically human) with God... or perhaps more appropriately, to identify God particularly with Jesus. Some theologians have opposed the univocal identification of God with Jesus, and even those who champion the concept will readily admit that it is indeed a scandalous identification. But the way of scripture and indeed the way of the cross is to discover God in the crucified Christ and to see the universal future of humanity in the particular future of him who hangs on a tree - a future of resurrection and restoration.